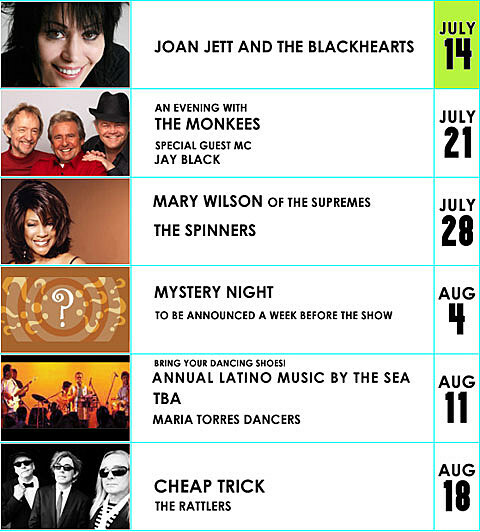 Though no longer in Asser Levy Park (for now), Brooklyn Borough President Marty Markowitz returns for the 33rd time with his Seaside Summer Concert Series in Coney Island in 2011. Now located at West 21st Street and Surf Avenue (next to the home of the Brooklyn Cyclones), there will be free shows every Thursday through August 18. All shows start at 7:30 PM. The Monkees just celebrated their 45th Anniversary. They played Beacon Theater on June 16th.